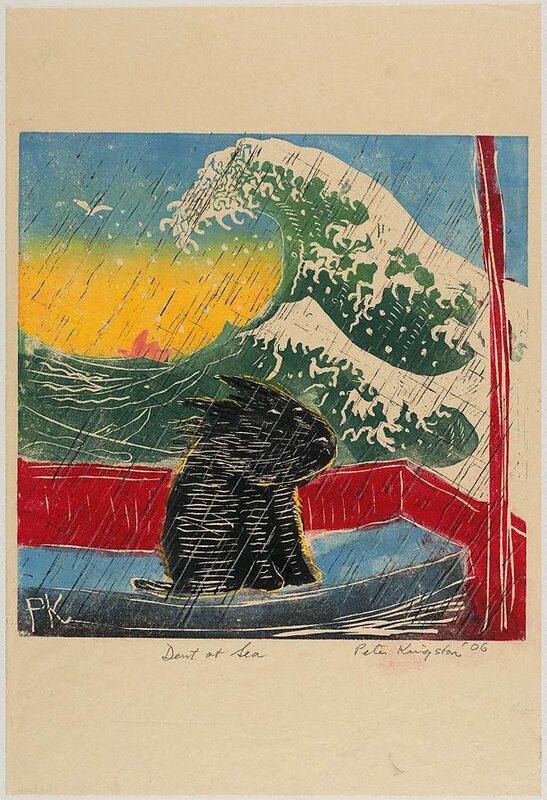 Peter Kingston has made a number of linocuts, inspired in part by Japanese woodblock prints, on Sydney subjects including the Harbour and Luna Park, subjects long of interest to him and recurring features in his work. Dent was Kingston's beloved Scottie dog, Denton, now dead, but still seen in his work. Signed and dated l.r., pencil "Peter Kingston '06".